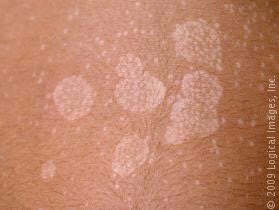 Sebaceous Hyperplasia is a very common benign skin condition. It appears as a small donut-shaped bump on the skin. These lesions show up mostly on the forehead, cheeks and nose and appear as whitish-yellow or skin-colored papules that are soft and vary in size from 2-9 mm. At puberty, sebaceous glands enlarge and become increasingly active due to increased production of androgens, and they reach their maximum by the third decade of life. As androgen levels decrease with advancing age, the sebocyte (the cells that make up the oil glands, and secrete sebum) turnover begins to slow down. This decrease in cellular turnover results in crowding of primitive sebocytes within the sebaceous gland, causing a benign enlargement of the sebaceous gland, or sebaceous hyperplasia. 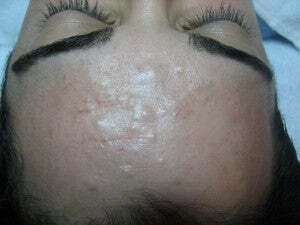 This is particularly apparent in the areas where sebaceous glands are concentrated, such as the face. It is thought to be caused by a decrease in the circulating levels of androgen associated with aging. Treatments include photodynamic therapy, cryotherapy (liquid nitrogen), cauterization or electrodesiccation, topical chemical treatments, laser treatment (eg, with argon, carbon dioxide, or pulsed-dye laser) shave excision, and excision. These are medical treatments done by a doctor. 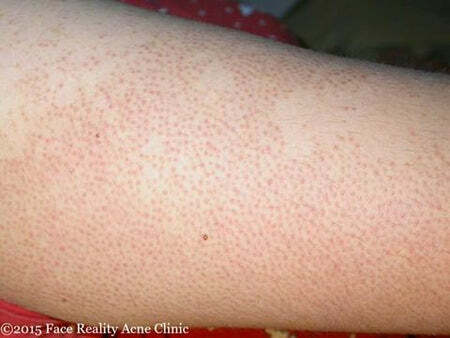 Isotretinoin (Accutane™) has also been used to treat this condition. We at Face Reality highly recommend that you try all other options before considering this prescribed medication. 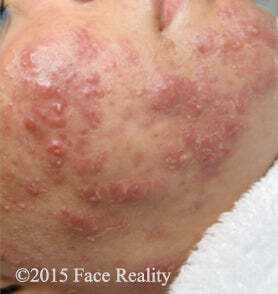 Face Reality Acne Clinic does not treat sebaceous hyperplasia. If you have acne, however, we can help you.